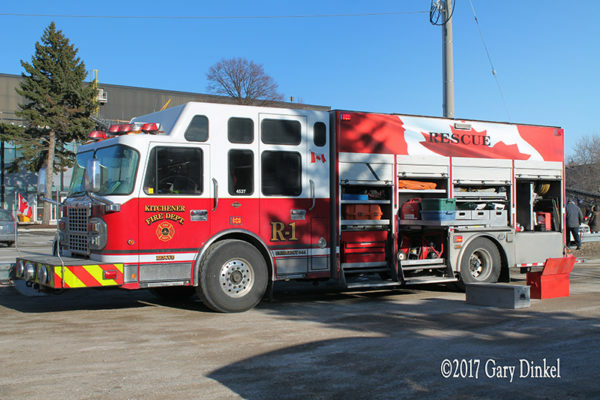 Kitchener (ON) fire dispatch 9-1-1 lines lit up at 8:10 August 22, 2018 for an explosion and fire at 56 Sprucedale Crescent on the west side of town. 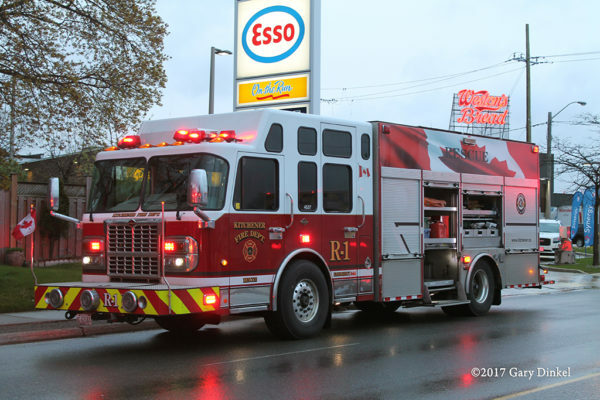 The initial dispatch was for an explosion and possible fire. 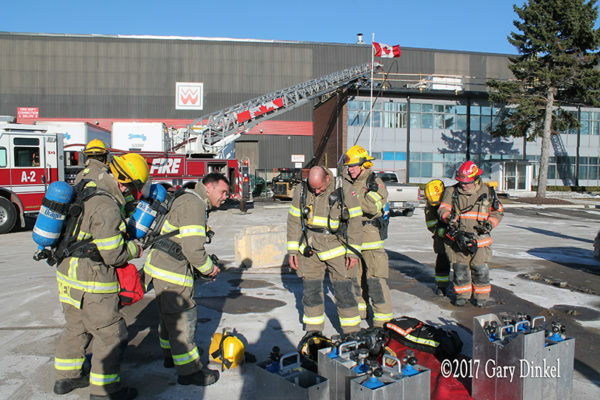 Two pumps, 100’ quint platform, heavy rescue, and platoon chief were dispatched. 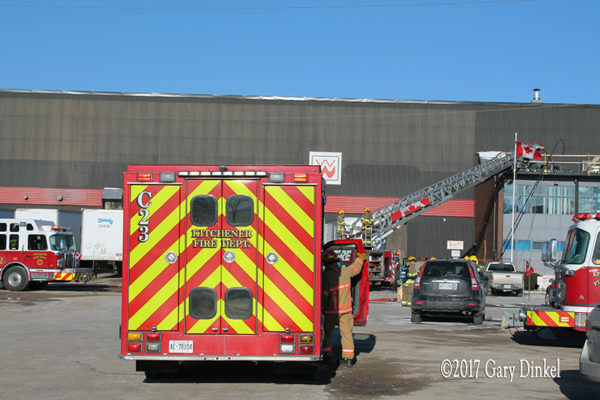 Heavy smoke was visible as trucks were responding and a third pumper was requested to the scene. P5 arrived first and reported debris all over the area with multiple houses on fire and stated they were going to look for victims. Neighbors reported there could be multiple people in the house. The adult male was pulled from the back yard by homeowners bordering the house. They told firefighters there was a female in the ruble at the rear but they couldn’t get to her due to heavy fire. Firefighters found the adult women and pulled her from the debris and reported she was 10-45. 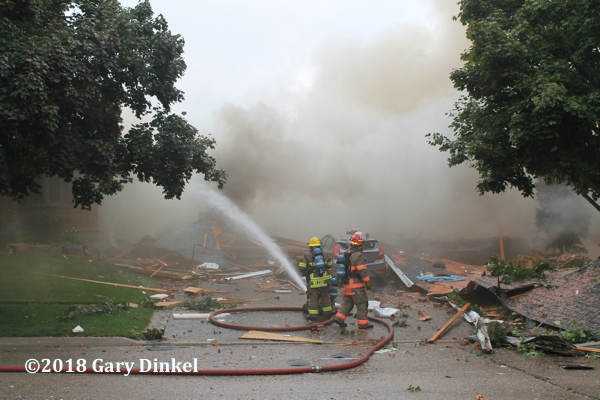 The fire extended into homes on either side of the house that exploded. 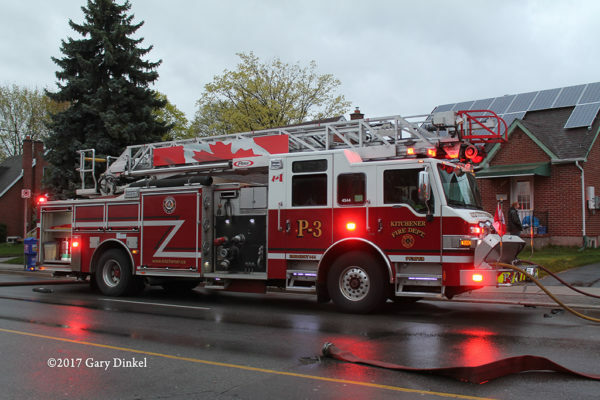 Two additional pumpers were requested to the scene. 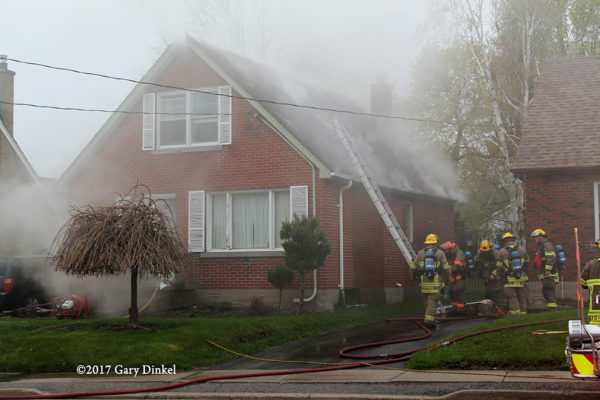 Two commands were set up, one to look after the initial house and the house on the E4 side. 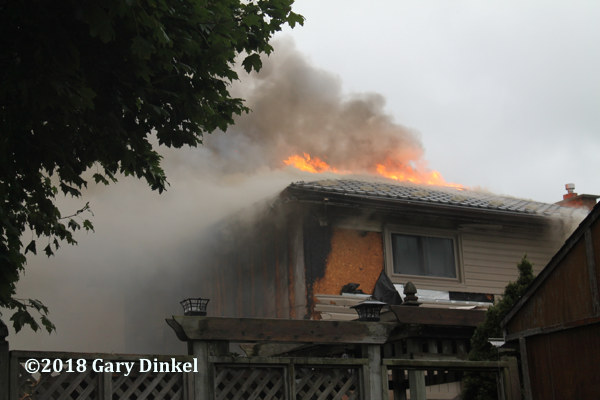 The second command looked after the well involved house on the E2 side. 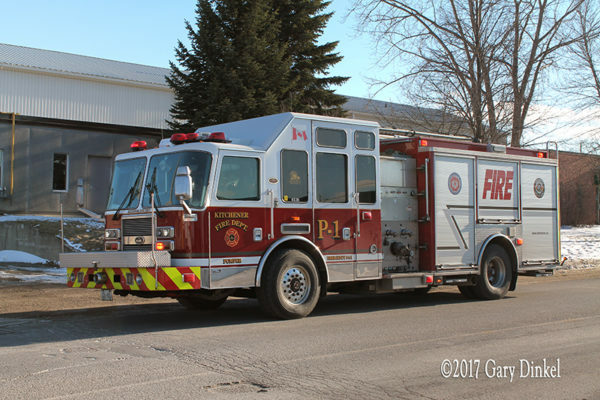 A sixth pumper was requested a short time later. 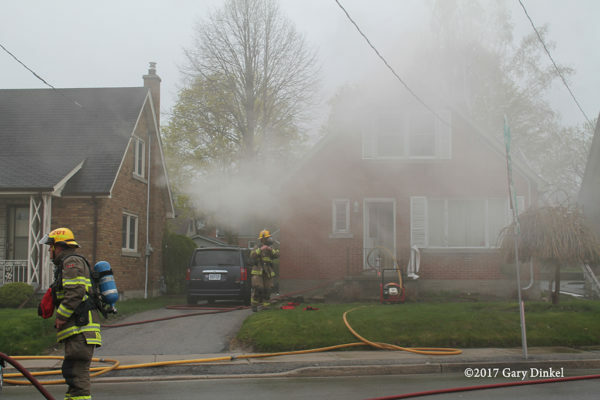 Four hydrants were picked up, three on Sprucedale and one on Blackwell Drive where firefighters pulled a 2.5” line into the rear of the fire. 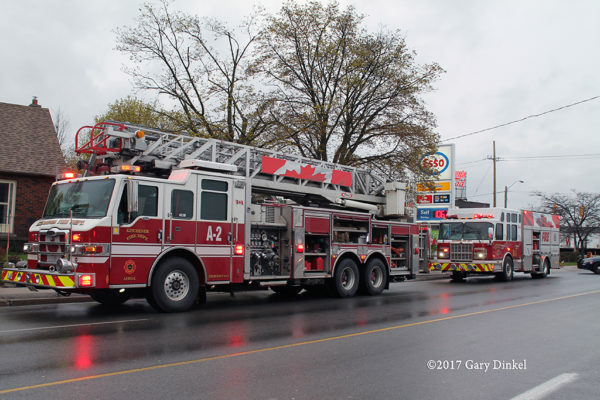 Multiple small and large lines as well as the platform attacked the fire from the front. 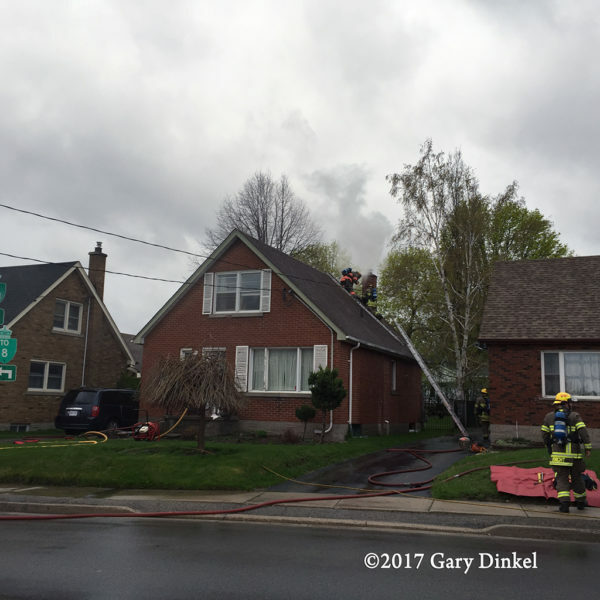 The bulk of the fire was knocked down in 45 minutes on the original home and E4 home. 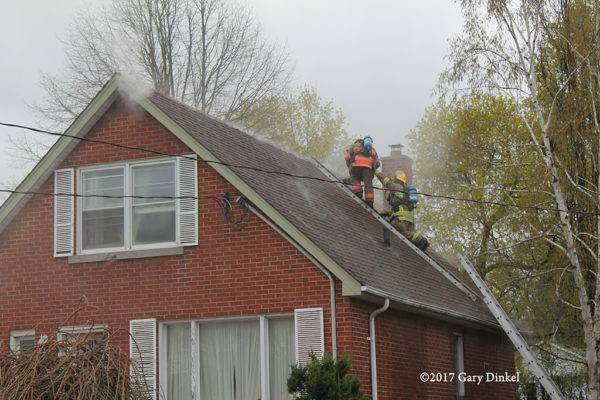 The E2 home had heavy fire throughout the house and eventually fire broke through the steel roof. Firefighters worked for hours on spot fires and securing the scene. Due to the magnitude of the call, media and helicopters arrived from as far away as Toronto. 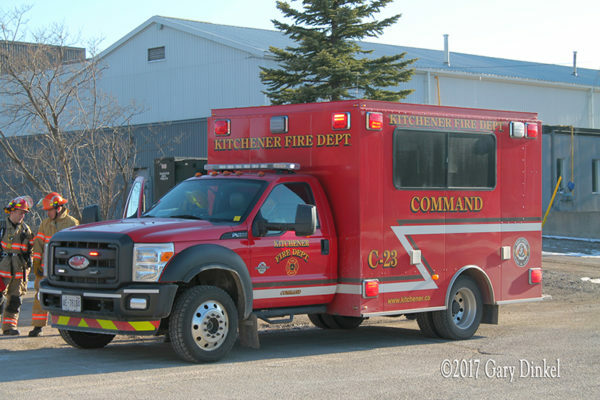 Kitchener Fire Chief Jon Rehill updated press throughout the day. 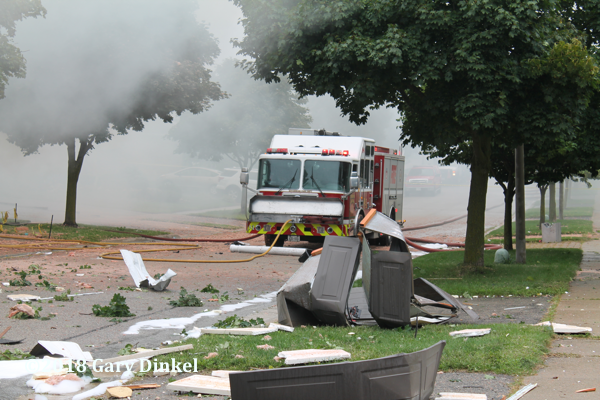 Sixteen homes were evacuated and gas was shut off to their homes until the source of the blast could be determined. 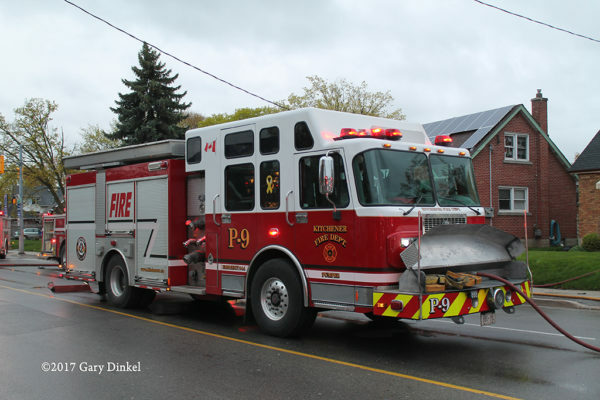 The Ontario Fire Marshall arrived at noon to help in the investigation. 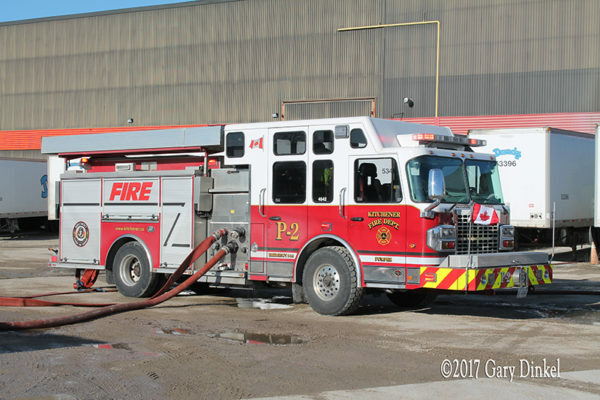 The following day, Regional Police reported they were investigating the fire as a homicide. 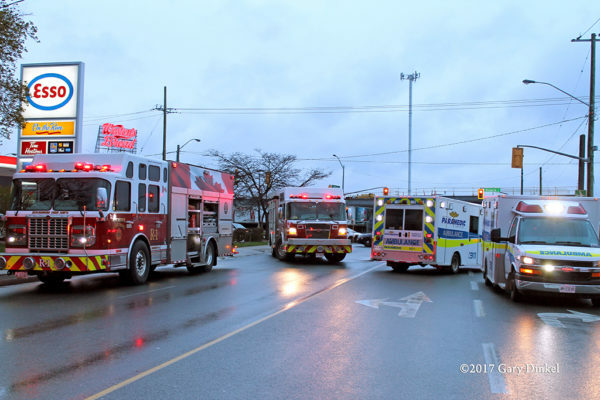 The adult male was airlifted in critical condition to a Hamilton hospital. Damage will exceed two million dollars. Box 690 provided rehab for nine hours. Photos and video taken 25 minutes into call after rehab was set up. 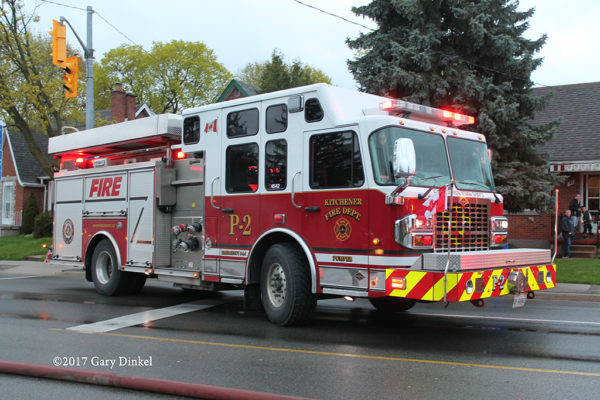 Kitchener, Ontario fire fighters were dispatched for a kitchen fire at 37 Edna Street at 19:20. A2 arrived on scene first reporting light white smoke coming from the eaves of the 1.5 story house. 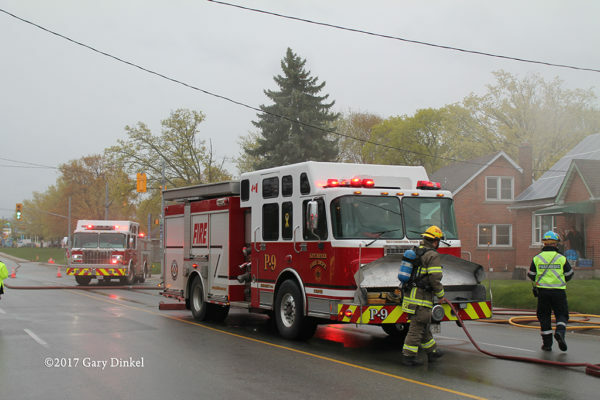 P3 pulled two 1.75” attack lines while P4 picked up the hydrant and pulled one 1.75” line from their pumper. 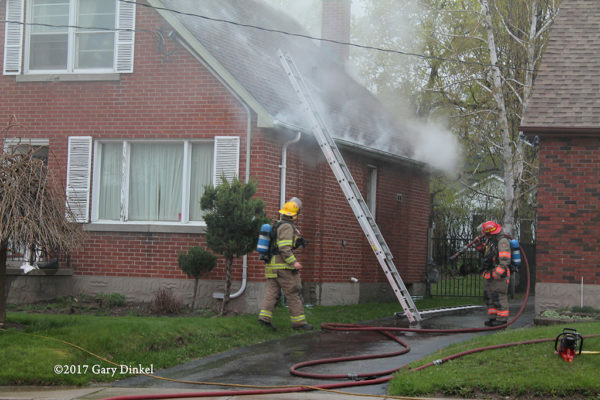 The fire started in the rear of the house on the main floor and extended up to the second level. 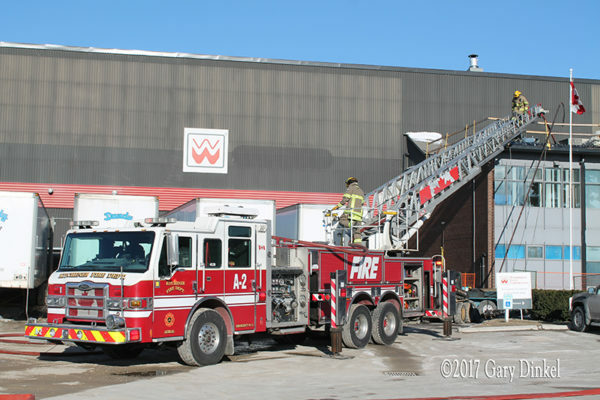 The fire was knocked down in 25 minutes, with extensive overhaul on both floors. Box 690 provided rehab. 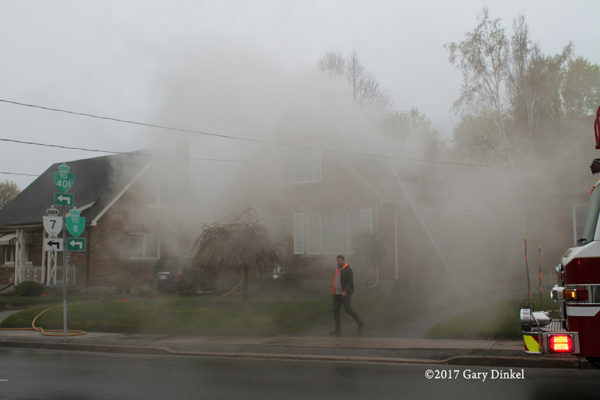 Photos and video taken 10 minutes into the fire. Units on scene Pump 2, 3, 4 (using spare pump 9) 5, Aerial 2, Rescue 1, and Car 23 (PC). 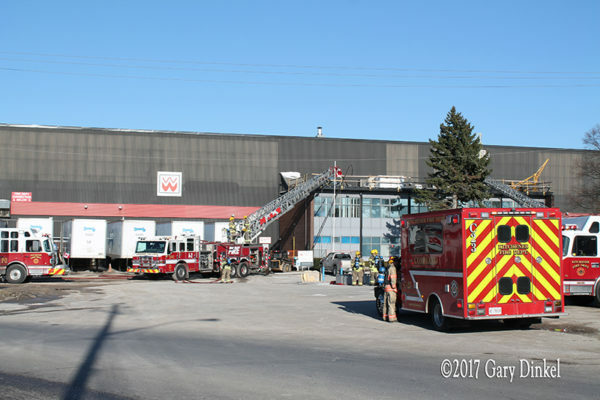 Kitchener, Ontario firefighters were dispatched to 68 Shirley Ave for smoke in the factory, March 16, 2017, at 17:17. 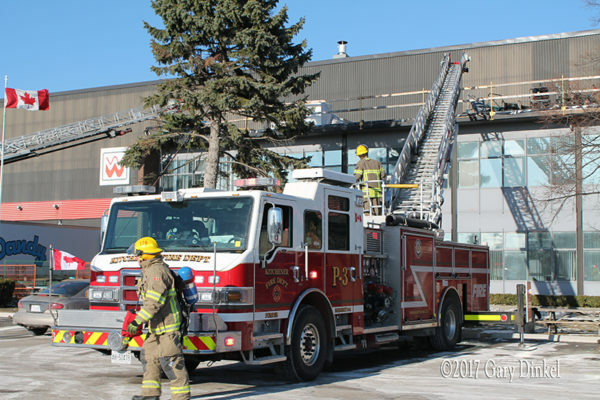 P2 arrived on scene reporting smoke coming from the roof of the office. It was being repaired by a local roofing company. The fire was knocked down in 10 minutes. The company manufactures Styrofoam coolers. Photos taken 20 minutes into the call. Box 690 provided rehab.